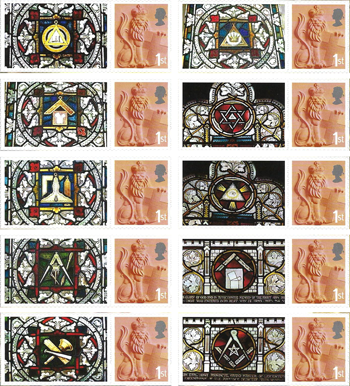 The commemorative sheet of Masonic Stained Glass features the artistry and beauty of windows in the Kingston Parish Church, Jamaica and St Peter's Church, Leicester. In the plan of the 'new town to be called Kingston' drawn up by the surveyor John Goffe, space was allocated for a Parish Church on the south eastern side of the town square. The earliest grave on the site bears the date 1699 and it is conjectured that a wooden building was first erected until a more permanent structure could be built. In 1701 the deed conveying the land to the Church wardens was discharged and in the same year, a Rector was appointed for the Parish. With the rapid growth of Kingston in the early 18th Century, the Parish Church acquired 'no fewer than six side-aisles' with a seating capacity for 1,300 people. In 1745 a bell, cast in 1715, was installed in a newly built bell tower. Each night at 9 o'clock it tolled the curfew. Many civic processions have converged upon the Parish Church. In the 18th and early 19th Centuries, Freemasons made their way from their Lodge Halls in Grand Processions to the Church on the Saint's Day of St Thomas. A memorial to Stephen (Etienne) Morin and Henry Andrew Franken, and a stained glass window at the north eastern end of the Church attest to the Kingston community's long standing connections with Freemasonry. 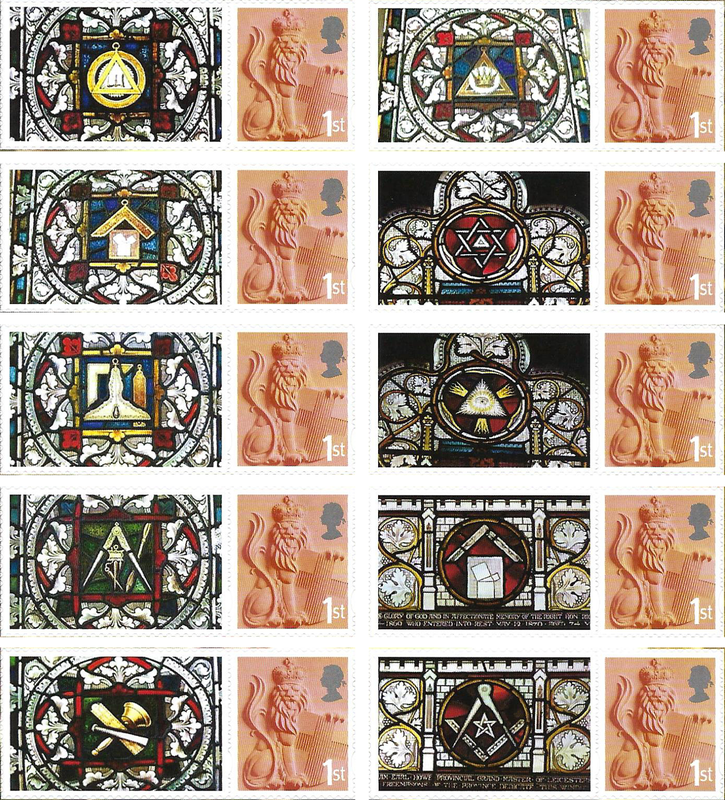 On 14th November 1872, after laying the foundation stone, a resolution was passed at theProvincial Grand Lodge meeting , that a subscription be raised for placing in the new Church a stained glass window, as a Masonic memorial erected in memory of the late lamented and esteemed Lord Howe, Past Provincial Grand Master. In total about £140 was subscribed for the window which was installed by Clayton and Bell in the East end of the Church and unveiled on Easter Sunday 1875. The windows contain the emblems of four evangelists. The subjects treated are: The Agony, the delivery of the keys to St Peter, the denial of Christ and the martyrdom of St Peter. There are also several masonic emblems denoting the various offices held by the late Earl Howe. An inscription also reads: To the glory of God, and in the affectionate memory of the Right Hon. Richard William Earl Howe Provincial Grand Master of Leicestershire 1856-1869, who entered into rest May 12 1870 Aged 74 Years. The Freemasons of the Province dedicate this window.